Title Loans Can Help You Get Up To $15,000! What exactly is a car title loan? A title loan is a quick and convenient way to get fast access to emergency cash to handle a financial challenge or unexpected expense that simply cannot wait. Whether you are looking to cover your rent, pay overdue bills, or deal with some other type of expense, a title loan could provide you with the fast, same-day cash that you need without any hassles or long waits. 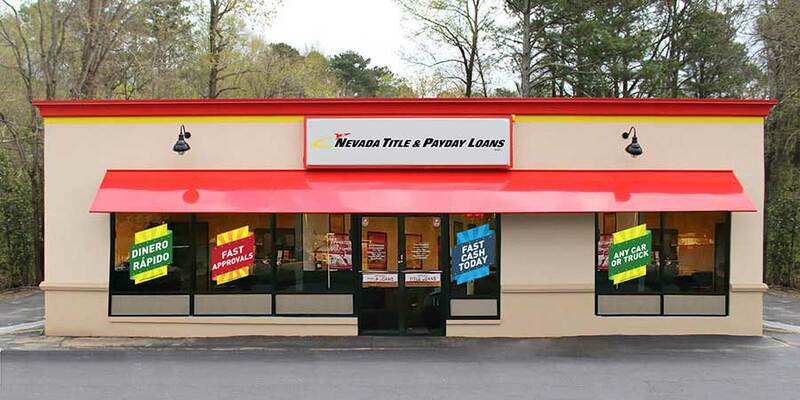 Here at Nevada Title and Payday Loans, Inc. we offer fast cash amounts up to $15,000 with our car title loans, which are available regardless of your credit situation. The amount you qualify for will be based on a couple of factors, including the value and condition of your vehicle. You Can Apply For a Title Loan Online Now! Ready to get started? All you need to do to begin the title loan process at Nevada Title and Payday Loans, Inc. is to fill out our simple online request form. When you submit it, your basic information will be instantly sent to your local store, where a friendly representative will review your needs and give you a quick call back. During a brief phone call, they will confirm your information and answer any questions you might have. The rep will make sure you are ready to collect your cash after you visit the store. Once you're done on the phone, you can gather the required items and go to your favorite store. The required items needed include your valid state issued photo ID, the lien-free title to your vehicle and the vehicle itself. When you arrive at our store, a representative will review these items and help you complete the simple paperwork while your vehicle undergoes a brief inspection. You Can Get Approved for a Nevada Title Loan! Once approved, you can receive cash the very same day. You also can drive your vehicle while you repay your loan. Getting the emergency cash you need won’t interfere with your daily routine. We have made the process as quick and convenient as possible, and any credit is welcome. Get started now by filling out our short online request form, and let our friendly representatives show you how quick and convenient it can be to get the emergency cash you need today!